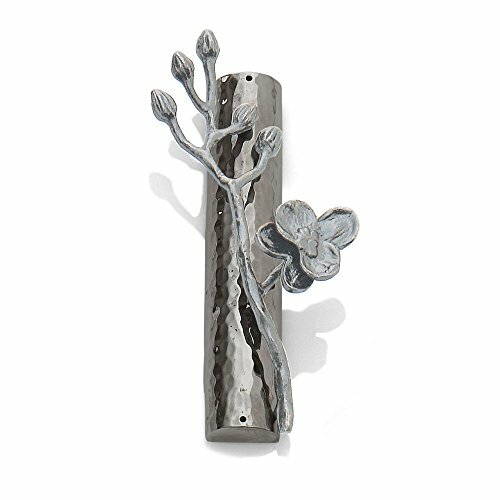 The Michael Aram White Orchid collection illuminates the ethereal spirit of the Orchid flower. Evocative of purity, delicacy, femininity and grace, the White metal version offers a strikingly different appeal than its black counterpart. While the sculpture is just as exuberant and detailed, in White, these flowers take on a simplicity that is completely unique. There is a sense of lightness, freshness and even innocence - each Petal seemingly untouched and pure. "Orchids naturally emit a sense of sensuality and seductiveness, but in White nickel they take on a completely different meaning - an element of brightness that I associate with new beginnings. When I think of White orchids, I imagine the purity and sweetness of a newborn child, or a newlywed couple at the beginning of their lifelong journey."